Playwright, literary theorist, fine analyst of the works of Shakespeare, the Brontes, Swift and Joyce, scourge of postmodernism, autobiographer -- Terry Eagleton's achievements are many and his combative intelligence widely admired and respected. His skill as a reviewer is particularly notable: never content merely to assess the ideas of a writer and the theses of a book, Eagleton, in his inimitable and often wickedly funny style, always paints a vivid theoretical and political fresco as the background to his engagement with the texts. 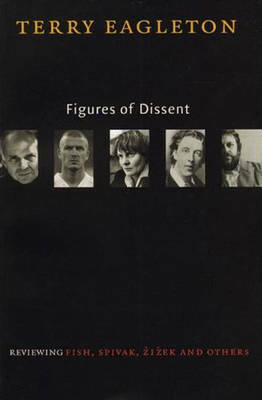 In this collection of more than a decade of such bracing criticism, Eagleton comes face to face with Stanley Fish, Gayatri Spivak, Slavoj Zizek, Edward Said, and even David Beckham. All are subjected to his pugnacious wit, scathing critical pen, and brilliant literary investigations.